Sign Up for the E-mail List! New year, new books, new me! Or something like that. I read A LOT in January, which I attribute to getting a library card for my new city, which has the most amazing library. I also started listening to more audiobooks again – often while playing a video game, because my boyfriend got me hopelessly hooked on Mass Effect – and I also picked up several graphic novels, which are usually quick reads. The Great Believers: Wow. Wow wow wow. This is the most incredible book I’ve read in a long time. It’s set in 1980’s Chicago – during the AIDS pandemic – and present(ish) day Paris. I wondered how the two storylines would intersect, and if it would make sense, but it does – and wonderfully so. To avoid spoilers, it’s hard for me to describe the book any more specifically than that, but I felt deeply for the characters, invested in their wellbeing and happiness. We went to visit friends while I was reading this, and they live in the neighborhood much of the novel takes place in, and I was just excitedly looking around at the places mentioned in the book. (I realize not everyone can have that experience, but it’s fun when a book can make you excited about your city.) Don’t hesitate, just pick this book up and read it – you won’t regret it. Taking Turns: Following my binge of The Great Believers, I was reminded of this graphic novel that’s long languished on my TBR list. Written by a nurse who worked on Chicago’s only dedicated AIDS ward (a place many characters in the book spent time), it’s a really affecting account of the disease’s impact on families, the staff, and the city. It’s a great follow up to The Great Believers. Like reading on your computer or mobile device? Check out Scribd – thousands of eBooks, audiobooks, magazines and more on your device! My Year of Rest and Relaxation: This book had a lot of hype around it, and rightfully so. It’s not often that I hate a narrator but still enjoy the book, but that’s the point – rather than facing her problems, she finds a psychiatrist and uses her to basically sleep through a full year. Set in 2000, it’s an interesting time period, when it was maybe a little easier to slip through social nets and avoid and ignore people. Though I hated the character, the writing and story was amazing. This is a good one to curl up with on a subzero weekend. Kitchen Confidential: Despite my love of the Food Network, I’ve never watched an Anthony Bourdain show. I still haven’t, but I loved listening to this audiobook. It’s fascinating, and I liked how he didn’t pull any punches about addiction in the restaurant industry, or the crazy hours and crazy hours, resulting often in crazy lives. It’s a really great food memoir, and it’s a heavy recommend from me. Speak: The original novelization of this book was a favorite of mine in high school. I loved the mystery – what happened? Why did she refer to this guy as “Beast”? – and was very excited when I learned a graphic novel had been published last year. Unsurprisingly, I read this book in one sitting the night I brought it home from the library. The illustrations capture the story well, and the revelation scenes are really well done. Graphic novels aren’t all comics and jokes, and Speak is an excellent example of that. The Four Tendencies: When we picked the “book about personality types” prompt for the reading challenge, I knew immediately I was going to read this book. Gretchen’s podcast is great, so I listened to the audiobook while working, and it had a lot of interesting insights. While it’s always fun to hear about your own personality type, there were a lot of suggestions on how to interact with other personality types, including kids. I made Evan take the quiz to see what his result would be, and it was exactly what I had expected. He asked what my type is, and I said “what do you think?” I can’t imagine a more perfect response from a Questioner. Sick: I ABSOLUTELY LOVED THIS BOOK. America’s health system is broken, for sure, and this is the story of a writer who struggles with getting care and a diagnosis often without health insurance, a consistent primary provider, and the stigma of being brown, a woman, and having a history of addiction. 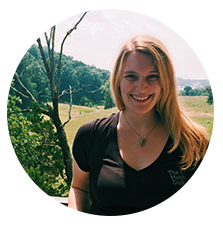 After many years (and many caretakers, a marker of her illness), she gets a diagnosis and learns the early signs of a relapse. As someone who has been through rounds and rounds and rounds of medical testing, often without resolution, this book felt very familiar and truthful. Wondering how I read so much? My libraries use Libby – see if your library has a partnership, and check out the mobile app! Fun Home: This graphic novel about a woman’s relationship with her father and the lies she uncovers as she grows up and comes out is really beautifully done. The artwork is lovely and I liked the way the story started to finally weave together in the end. I didn’t love it as much as some other people do, but I didn’t dislike it by any means, and it was a nice read. Lush: Unsurprisingly, my obsession with addiction memoir continues. I haven’t read any of Kerry Cohen’s previous work, but she makes several references to topics covered in her first two memoirs, and they sound great. I related to a lot of this book – I’m getting to the sort of awkward age where a lot of things center around drinking, and I’m tending more toward red wine. Not that I needed any cautionary tale, but this is a great look at problem drinking outside the stereotypical 20’s college student. What did you kick off the year reading? I’m a northern girl born in Michigan and living in Chicago. I love music, travel, fitness, pizza, and beer. I really like to laugh and listen to The Hold Steady. Read more or follow me on social media. If you’re new here, be sure to check out some of the most popular posts! 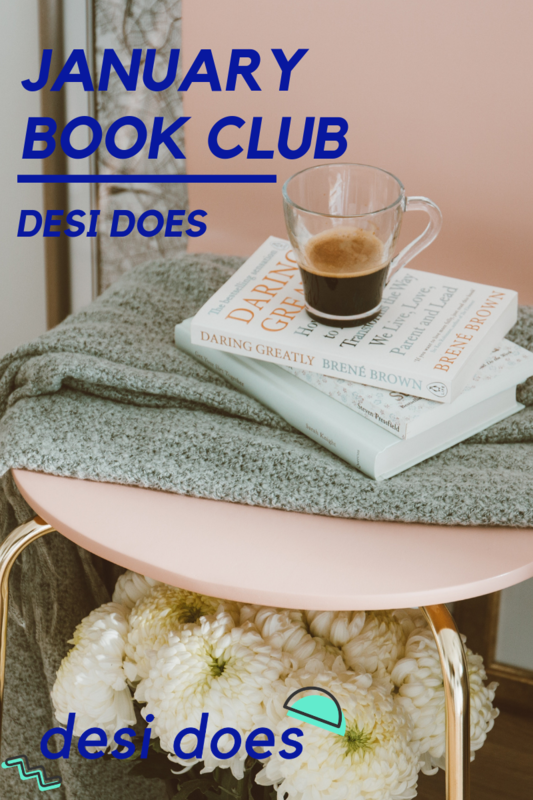 Share book reviews and ratings with Desi, and even join a book club on Goodreads. © 2012-2017 Desi Does. Affiliate links may be used. For full terms, visit terms page.